Dark Alley Press, 9781946050069, 226pp. Crossing the line. In life, we draw many lines-between good and evil, guilt and innocence, real and unreal, life and death. And having drawn these lines, we cross them because humanity is curious, careless, devious, and, sometimes, downright wicked. So what happens if you cross the line? Does it change you and what is waiting on the other side?In Ink Stains, Volume 6, ten authors explore what it means to cross the line and the price we pay to do it. This is a collection of short stories that range from fantasy through science fiction to horror and from the fantastical to the grit of day to day life. Join writers Monica Carter, George Kelly, Alison Garsha, Ken Goldman, Elana Gomel, Christopher Locke, Morrison, Thomas Olbert, Evan Purcell, and Nicole Tanquary as they step over the line to find what waits on the other side. 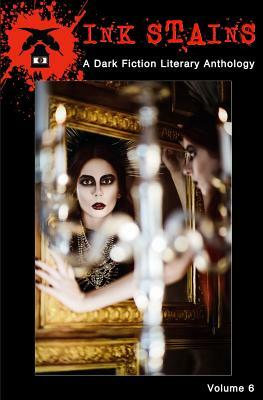 Ink Stains, a quarterly anthology published by Dark Alley Press, is about shining a stark light on the shadows of life, exploring those dimly lit corridors, and unearthing those long-buried secrets. We don't believe good will always triumph over evil or that someone will always be around to save the day. Sometimes all we have is ourselves. And the stories that keep us turning the page.